My MAC Lipstick virginity is broken! Hello everyone, I have an announcement for all of you that I’m proud to say – “my MAC Lipstick virginity has been broken”! And then it happened…I was in Covent Garden in London a week ago and I went passed a MAC shop, I’d never been in an actual MAC shop before, had no intention of buying anything but wanted to have a browse. My make up collection that I have from MAC is very small and I had no intention of making my collection any bigger. That was until I saw all of the lipsticks lined up so beautifully, every colour you could think of! I saw a few that I liked, but one distinctively stood out as it matched my nails and it was a colour I loved for this time of year! 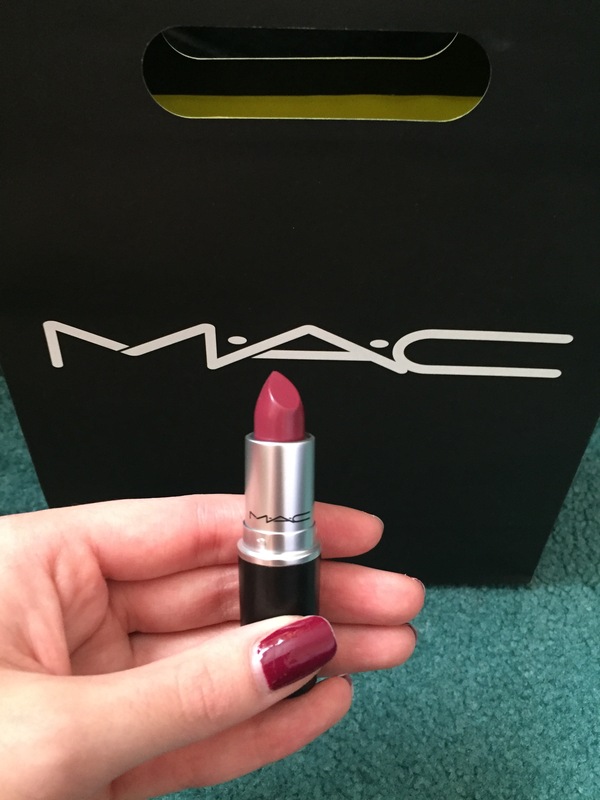 This colour was ‘CAPTIVE’ and it was part of the ‘Satin’ collection of the lipsticks. I tried it on with my finger to make sure it would suit me, and loved it. Now I’ve heard loads of people in the past saying “whats the point in buying a lipstick for £15 odd when I can buy the exact same colour for way cheaper from another brand”. Well to all of you that think that, which I can understand why you do because I once thought that too, it’s the quality of the lipstick you’re paying for. This lipstick does not budge from my lips, it doesn’t transfer onto glassed when I have a drink, it keeps it’s colour, doesn’t go patchy, it’s immaculate. And the packaging is b-e-a-utiful! Needless to say, I will definitely be buying another MAC lipstick the next time I want a different colour for whatever reason. P.S. Ignore the bad nail varnish in the photo, it was due to come off as it had chipped a lot. 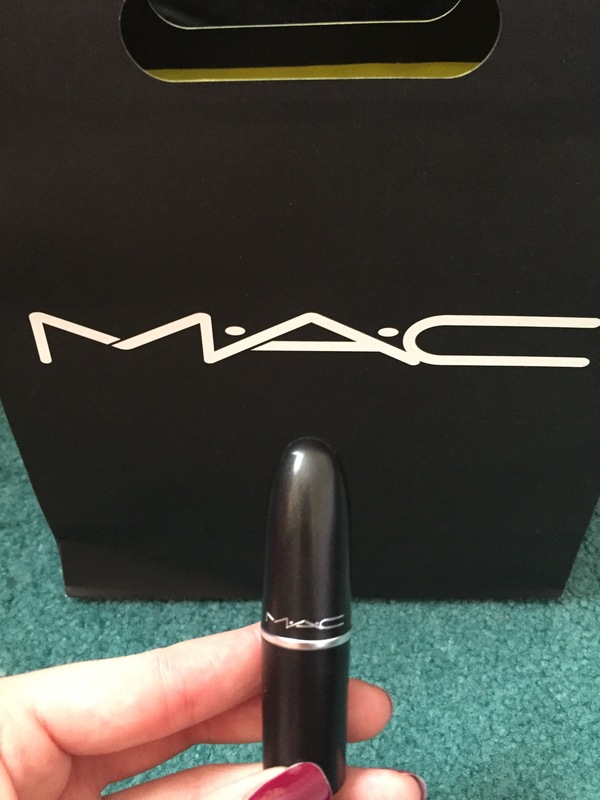 Posted on October 28, 2015 October 28, 2015 Categories MAC, Routines, UncategorizedTags autumn, autumn colours, beauty, fall, lipsticks, mac, make up, make up routine5 Comments on My MAC Lipstick virginity is broken!